NEW from Tor Books. Now available everywhere books are sold! Earth is in a predicament. The Magellan, a curious AI ship on a mission of exploration, has discovered an unknown object in deep space. Most intriguing of all is the mysterious signal the artifact is broadcasting to anyone who cares to listen. The Magellan's crew, captained by the intrepid Allison Ridgeway, strives to unlock the artifact's advanced technology. They are assisted by a crack team of researchers back on Earth, headed by ultimate science geek and Moon native, Felix Fletcher. The brave crew and their Earth counterparts are joined by Earth's first hyper-capable ship, The Bucephalus, and the questionably competent Captain Maximus Tiberius. Together they set out to explore the galaxy, searching for the artifact's maker. Little do they know, their mission will culminate in a high stakes staring contest with the powers that control the entire galaxy, with the fate of the Earth hanging in the balance. Except some of the players have an unfair advantage; they have no eyelids. Some of them don't even have eyes. 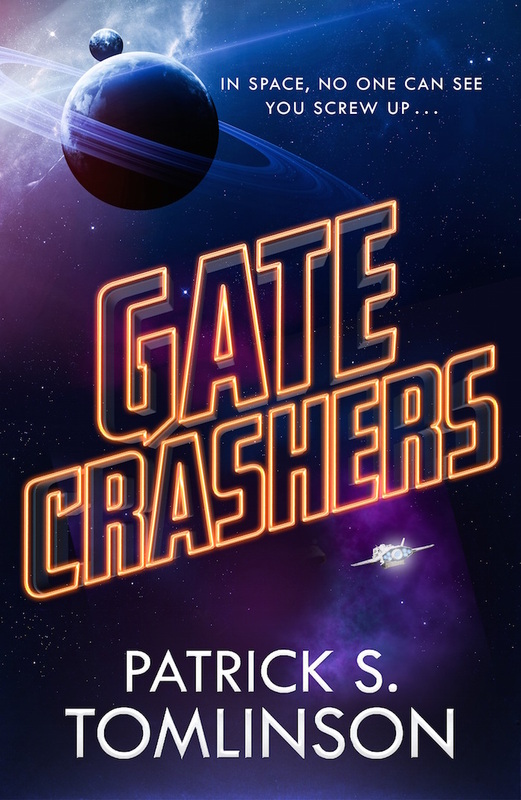 The first of at least three books to be set in a universe we're calling The Breach, GATE CRASHERS is a real treat for lovers of both sci-fi and humor. ...at your local Indie bookstore. ...on Audible (from Recorded Books)!